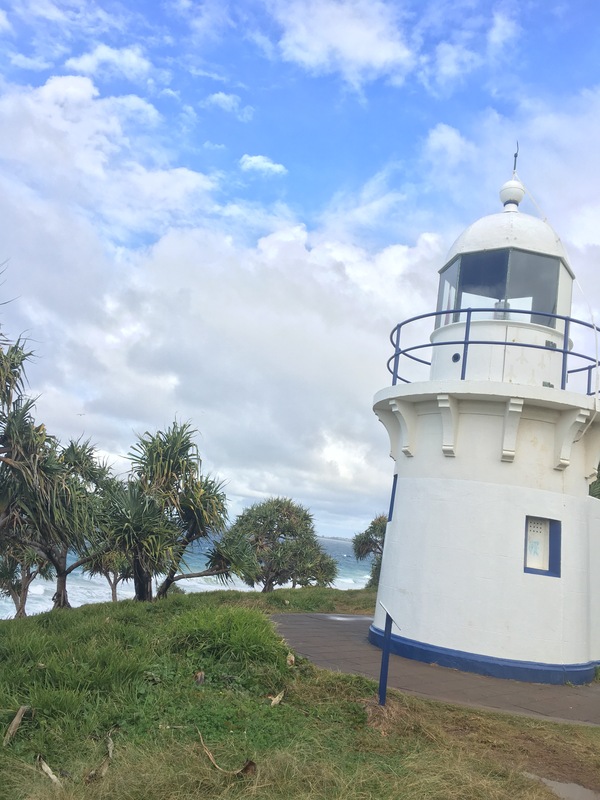 On Saturday morning, I jumped in my car and headed off to find the Fingal Head Lighthouse on the NSW coast. I decided I wanted to see it after seeing an image of it while I was researching something about the lighthouse at Byron Bay. To get there was about an hour and a half driving from Brisbane, and that was with terrible traffic (the drive home had good traffic and it only took just under an hour). So I made it there around 1PM, and I was super pumped to explore. 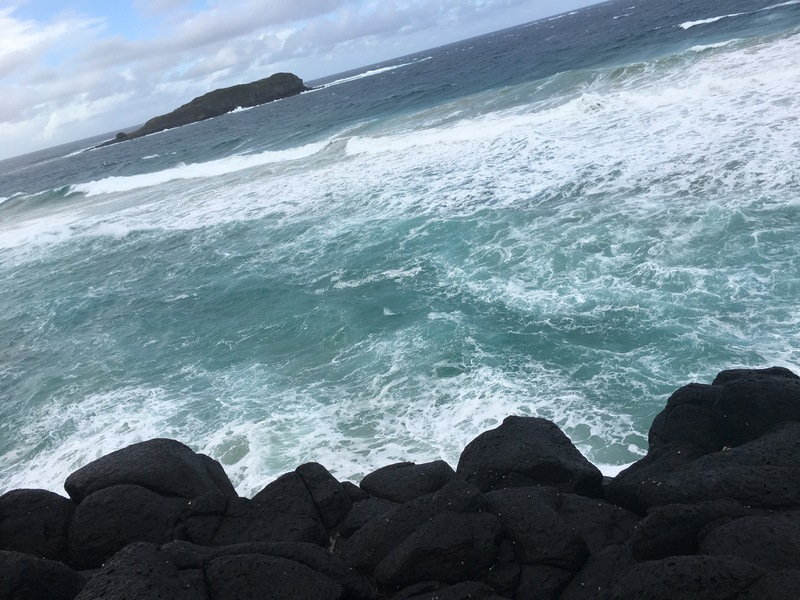 I had read that the walk to the lighthouse was fairly short (750 metres) but that there was around 4/5kms of pretty coastline to hike around it. But just as I was pulling up – it started raining. Not super heavy, fat rain. Just continuous drizzle with some strong wind, and enough to be annoying. But you know what? It didn’t matter. This was such a good little hike! 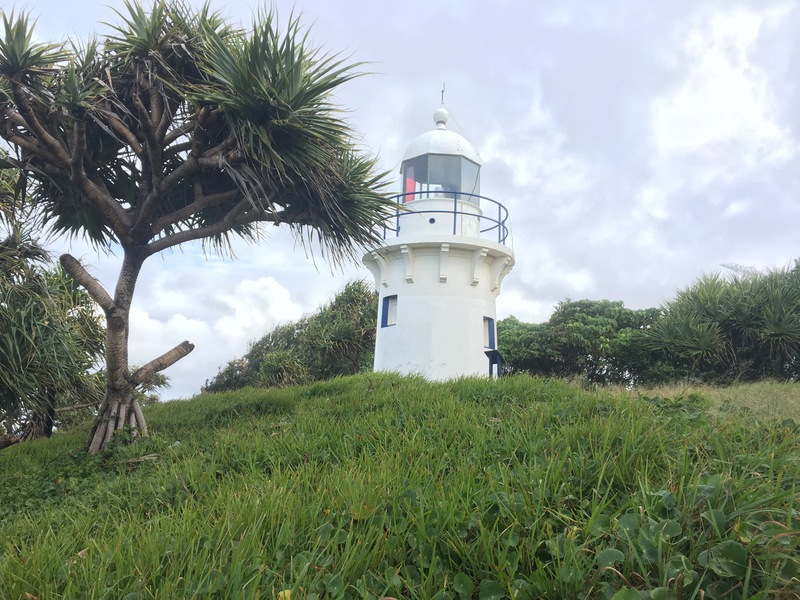 The lighthouse itself was built in 1879, and is the oldest piece of construction in the Tweed Heads area. Initially there was another little side building attached to it. I’m not sure when that was removed, but only the foundation of that is left. Just before you reach it, there is also visible foundation from the original lighthouse keepers cottage. I was looking at that, and thinking “hmm, decent size” but my opinion on that changed after I actually read the sign. It stated that the keeper had lived there with his wife and their 11 children. I cannot fathom how they all lived in that little cottage, but I am mighty jealous of the view that they would have had. The lighthouse was converted to electric in 1970, but I have no idea when the last time it was used was. It looks like it’s been awhile. But all of that is just background information and all that really matters is that this lighthouse is absolutely adorable! Take a look at the pictures, its teeny tiny and has the most incredible view. After all the stress of the past few weeks, just being there and looking out over the cliff made me feel so much better. The cliff itself is another aspect worth mentioning. 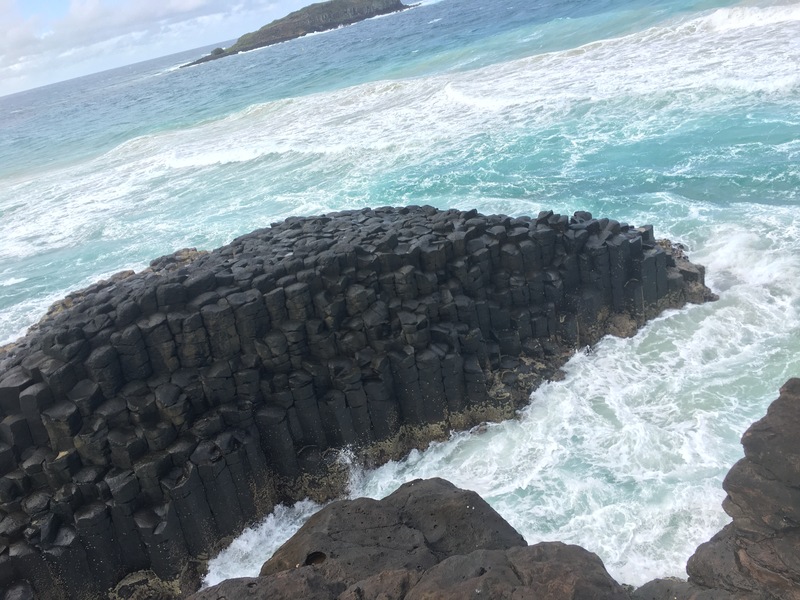 It reminded me of the Giants Causeway in Ireland. Smooth, perfect little stepping stones or stools. There was something about them that had me thinking about Game of Thrones as well. It just looked surreal, like it was out of some science fiction scene, and I think I like that part of the cliff more than the lighthouse! Which is saying something, because I love lighthouses. 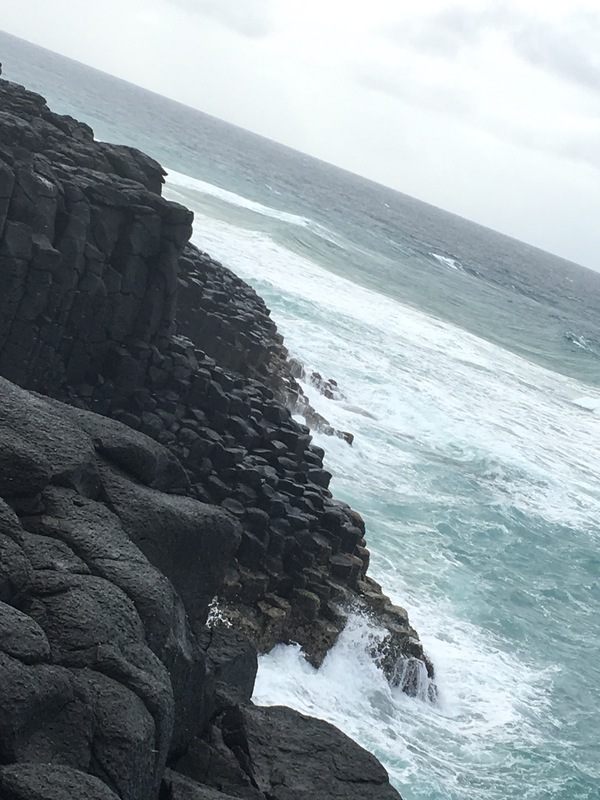 I wanted to climb down the cliff and head out on to them to get a better look, but the rain had made the rocks super slippery. My mother is pretty partial to having an alive daughter, so I figured I would stay up on top of the cliff this time. Also visible on this little hike is the Cook Island Aquatic Reserve. Nothing to do with the Cook Islands, this island is mainly considered a breeding ground for seabirds such as shearwaters and terns. This island would also be amazing to explore, but I feel like my bird phobia will prevent that from ever happening, so for now it simply provided me with a better background for my photos. I highly recommend this day trip! Just maybe not on a day that was quite as cold as the day I chose, unless you’re OK with getting the sniffles. It’s only a short hike, but the view is incredible. It would be a perfect picnic spot too, and I will definitely look at heading back here on a day when the weather is better. ← Unpopular Opinion: Bali & Thailand barely count as an overseas holiday for millennials.